Enviro-Vac™ Division of Paragon Remediation Group Ltd. are one of the largest hazardous materials abatement and decontamination service providers in Canada. Our teams are comprised of multi-skilled, trained and insured experts, capable of providing a wide-range and diverse knowledge in hazardous materials abatement and decontamination solutions with a proven track record for delivering high end solutions. Effective decontamination strategies require meticulous and efficient preperation and execution. 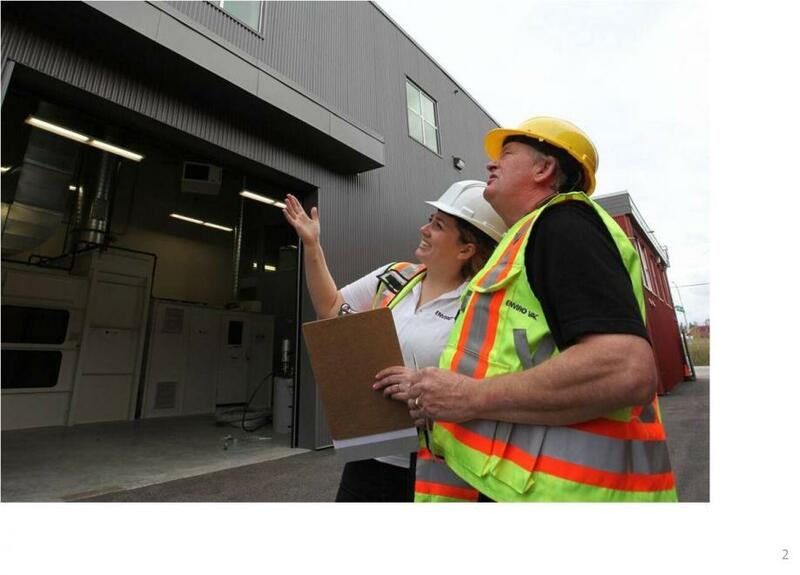 Enviro-Vac risk-assessors are Asbestos Institute and AHERA certified and possess wide ranging experience in a variety of decontamination projects. Enviro-Vac has the resources and financial capabilities to take on numerous large projects simultaneously over extended periods of time anywhere in the country. The company’s use of advanced technology and high velocity cleaning equipment keeps us ahead of the competition. Enviro-Vac has a commitment from our entire team to get the job done safely on time and on budget. Every Enviro-Vac employee undergoes strict and ongoing training to gain the knowledge and experience to complete projects safely. Whether your project involves abrasive blasting, selective deconstruction, conveyor spills, bulk material removal and recovery, industrial vacuuming, environmental cleaning, decontamination, hazardous waste removal, transport and disposition or asbestos abatement, you can rest assured that Enviro-Vac™ can complete the job on time, and on budget "safely", with a minimum of disruption to your business. Enviro-Vac is one of Canada's oldest privately owned environmental contractors, providing a full suite of services in hazardous materials abatement and decontamination including shrink-wrap containments. We have earned national recognition for innovative project planning and execution of some of the industry’s most complex projects, including decontamination / abatement of asbestos, mercury and arsenic trioxide, at one of the most polluted places in Canada's sub-arctic. Enviro-Vac’s 40-years of successful service solutions can be attributed to sound core values and competencies, commendable ethics, quality workmanship and high customer satisfaction. The company is fully bonded and maintains full CGL insurance with inclusions for environmental impairment that includes asbestos & pollution.